I live and work in a corner of America where people live life to the fullest. Everywhere you go, people are doing something healthy. It’s enough to make a person ill. There are joggers, yoga devotees, cyclists, roller-bladers, swimmers, surfers, triathlete iron men and women, and my personal favorite ‘cross-fit’ work-out masochists – a local fitness organization that encourages its members to stagger down the sidewalk with unreasonably heavy weights, stopping every few minutes to do 300 crunches just so show passers-by that they can. I admire them all immensely, so much so that recently I joined a local sports league soccer team on a Thursday evening, which thankfully has people almost as frighteningly out of shape as me, so I blend in well. Where I grew up – once rated as the most statistically average town in England – the outdoors was something to complain about when you met another person in the rain/snow/grey/’far too hot’ weather. Here in San Diego, the outdoors is a place to find yourself, to revel in the worship of the god of self-improvement. You would think that in such an environment, a movement that has had a two thousand year head-start in promoting the good and abundant life would do very well. Apart from anything else, it’s a message with staying power. What’s more, its brand is global, with a nifty logo that is so easy to remember that most preschoolers can make one with a couple of sticks and a piece of string. According to the Hartford Institute, there are approximately 335,000 Christian congregations in America. 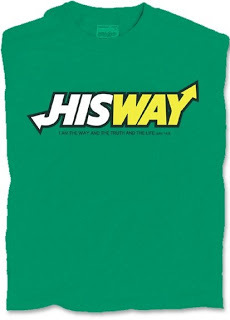 By contrast, there are are only a measly 23,000 Subway fast-food restaurants in the country. Yet, as is now a well-worn path of pessimistic projection, the Church is on the slide in this part of the world. People would rather be jogging instead. 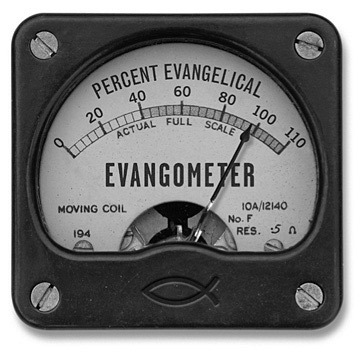 What I believe the Church needs today is a boost of evangelicalism. The Church needs to remember that it is the trustee of extraordinarily good news. It needs to recall in a deep place that it is charged to be light and life in the world. The vocation of the Church is to proclaim an abundant kingdom that seeks nothing less than the transformation of reality as we know it. The Church is to be the voice in the world that refuses to allow death to have the final word, and that dismantles the facade of a consumer society that has worked hard to persuade us that people are valuable as much as they are of economic worth.Yes, the Church needs to declare to the world the love of Jesus Christ, but not via a neo-imperialism, but as postcolonial evangelicals. Jesus was a postcolonial evangelical. Paul was a postcolonial evangelical. The author or the Book of Revelation was a postcolonial evangelical. All of them were, and the myriad of witnesses who came after them have been because they took the world seriously, in its lostness and in its capacity to be set free and made new.So, bring it on Crossfit, we’ve got 2000 years on the clock and a world of abundance to share. Now ain’t that good news?